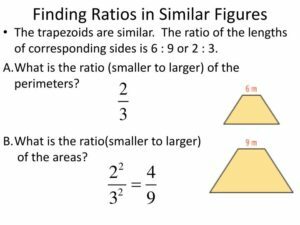 This post is about finding ratio of areas for 2 figures. 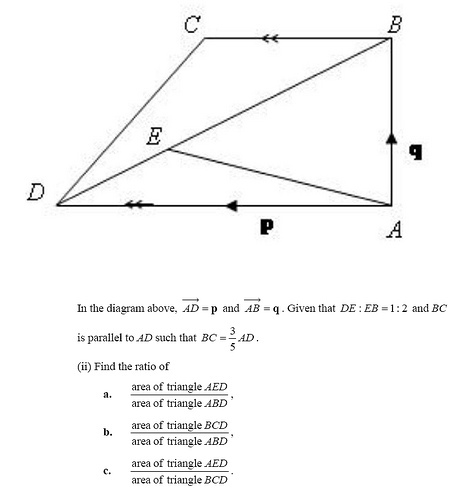 These types of questions often comes out in Emaths Vectors, Similar figures questions like this question shown. Follow these 3 rules to solve these types of questions. Check if the 2 figures shares a common height. Then proceed to write out the formulae of their area leaving the common height unknown in the fraction. 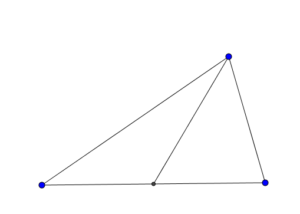 The unknown height will be cancelled out in the fraction. 3. Check if the 2 figures shares a common area. Then proceed to form fraction expressions of the 3 different areas. Lastly, form an equation to get the ratio of the 2 areas asked in the question. 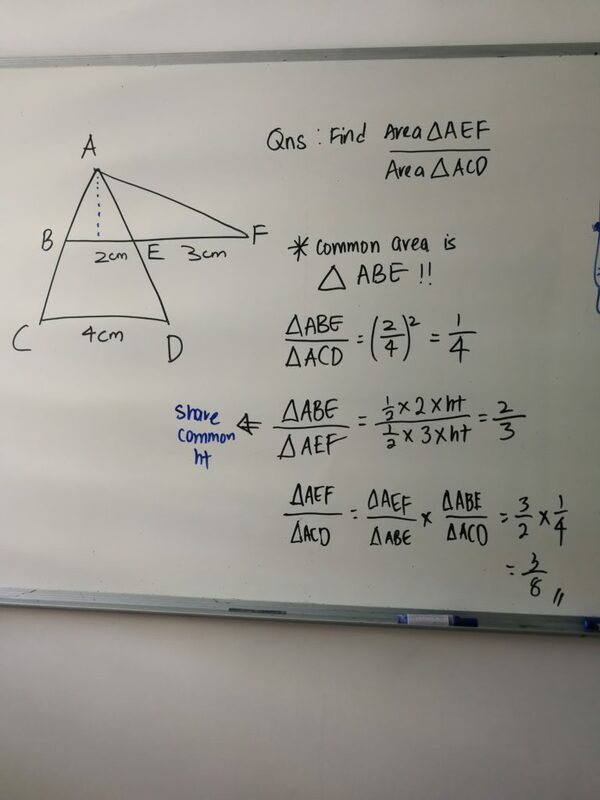 This entry was posted in Secondary Sch Materials and tagged Congruence and Similarity, Good emaths tuition, good emaths tuition khatib, good emaths tuition sembawang, good emaths tuition yishun, Ratio of area problems, Ratio of areas, vectors maths questions. Bookmark the permalink.